Paqirsayn was born when they lived in Joysolto. I vaguely remember visiting them after the birth of their son. He said the child had been born in poverty, and therefore named Paqir (Poor) Hussain. They had left watan as children, and settled in Polkhomri in the north. I met the eldest, Nadirsayn, after about 50 years in Kabul. His wife had come with him. She did not look like she was a Hazara. She was kind. Nadir’s oldest sister was Aabay Azizulla, then Aakima, then Gul Bibi and then Patima. Then there were Nadirsayn, Paqirsayn and Khadimsayn. They were born from your great grandfather’s second marriage, to an Awgho woman. He and his children were starving in watan. Paqirsayn was born when they lived in Joysolto. I vaguely remember visiting them after the birth of their son. He said the child had been born in poverty, and therefore name Paqir (Poor) Hussain. The did not tell anyone where they were going. They lied to other villagers telling them they were moving to Ootqol, but soon we all found out they had gone to Polkhomri. Khadimsayn’s mother was vicious, a terrifying woman. The tribal noble Ghulam Hassan Khan had married her in Kabul, and brought her to Jaghori. Even the khan could not deal with her. He went into hiding, and divorced her through his brothers. She had then remarried your maternal great grandfather. Their fights brought the whole village to a standstill. She would stand outside the house, and scream, and swear and curse at him. He would not dare come out. The Awgho who passed through village did not accept her as one of their own. They said she was not a Awgho because she had face tattoos. They called her a Jatt, and got mad when we called her Awgho. We were all starving, but we did not leave the village. She made them leave the village, leave Jaghori and went mountains away, to Polkhomri. Your great grandfather died in the north, and is buried in Polkhomri. 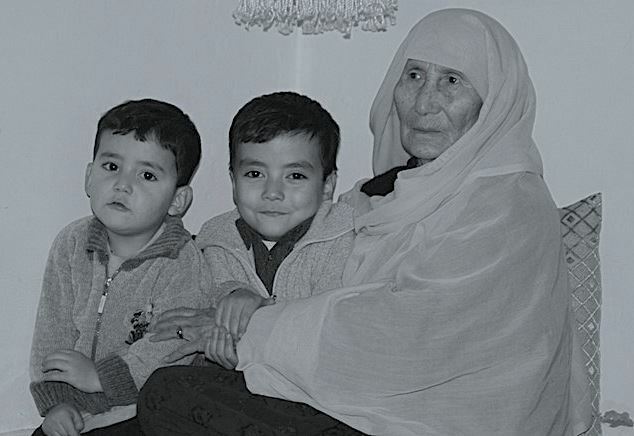 I never met him again, but I met his children for the first time in Kabul, after more than 50 years.